One of the most popular mobile games out there for kids has added an augmented reality mode that brings the titular character into the real world. An update of Nickelodeon's Sky Whale, available now on the App Store and Google Play renders the game's oceanic environment and its aquatic mammal in augmented reality. 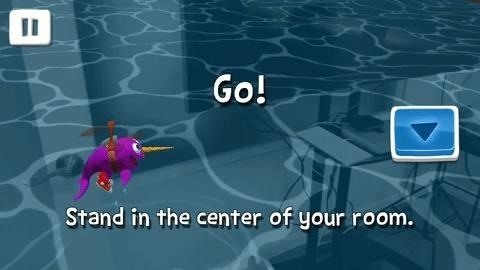 The objective of the game is to guide the narwhal and collect as many donuts as possible in the allotted time. 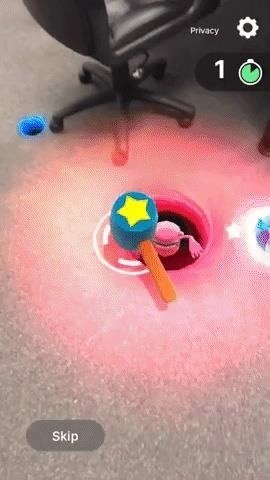 Players can accrue coins to unlock special items that enhance the character's abilities or direct the character to bounce off clouds and other objects to accelerate the narwhal's movement. If you're wondering why you haven't heard of this supposedly popular game before, there's a good chance you're not in its target demographic. According to App Annie, Sky Whale is the top iOS game for children ages 9 to 11. Meanwhile, the game has racked up more than 10 million installs on Google Play. Sky Whale isn't Nickelodeon's first foray into AR. Last month, the network published Do Not Touch for iPhones and iPads. The app puts a virtual button in the user's space and, despite admonitions to the contrary, when the user presses the button, a surprise in the form of a Nickelodeon character, like Spongebob Squarepants, appears. 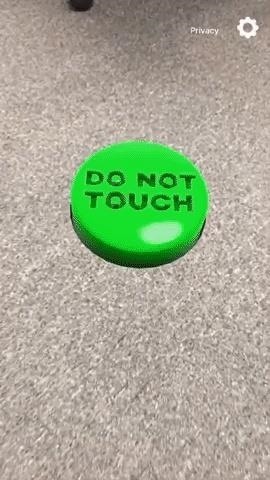 Frankly, while there's nothing wrong with Sky Whale's AR mode, Do Not Touch seems more naturally-built for an AR experience. Within the first six months of ARKit's existence, we haven't seen too many examples of widely popular mobile games for AR. And when we have, the injection of AR has sometimes been ill-suited to the app's dynamic. Therein lies the rub: If it doesn't make sense to play the game in AR, there's no reason for the user to jump on the AR bandwagon. Conversely, if the game is already popular without AR, there's not much incentive to add the feature. Perhaps Sky Whale will act as an example of what AR can bring to successful games when the adaptation makes perfect sense.